- Ranked 30th among 270,000 participants in Iran University Entrance Exam for B.Sc. degree, 2011. - Selected in Mathematics Olympiad in Canada, Waterloo University, 2009. 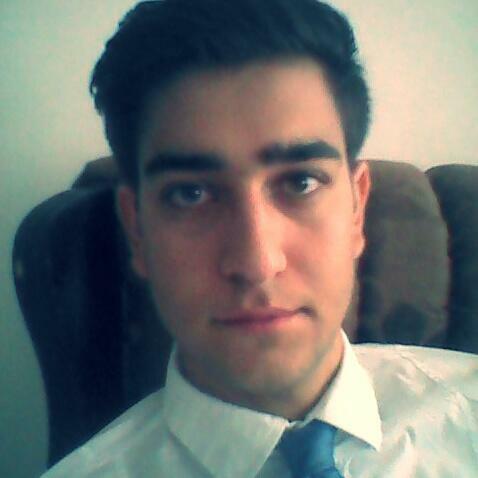 - Teaching Assistant for "Principles of Electronic" Dr.Kavehvash. - Lab Assistant for " Analoge Circuits Electronic" Dr.Safarian. - Teaching Assistant for “Analog Electronic workshop”, Dr.Fotowat. - Lab Assistant for “Principles of Electronic”, Dr.Kavevash. - Teaching Assistant for “Principles of Electrical Engineering”,Eng tolui. Dr. Fotowat Ahmady, Ali, Assistant Professor, [email protected],Phone: +98-(912) 111 7364, Address: 6th Floor - 602 East, Department ofElectrical Engineering, Sharif University of Technology, Azadi Ave., P. O. Box1155-4363, Tehran, Iran. Dr. Safarian, Aminghasem, Assistant Professor, [email protected], Phone: +98-6616 4391, Address: 7th Floor - 711 East, Department ofElectrical Engineering, Sharif University of Technology, Azadi Ave., P. O. Box1155-4363, Tehran, Iran.